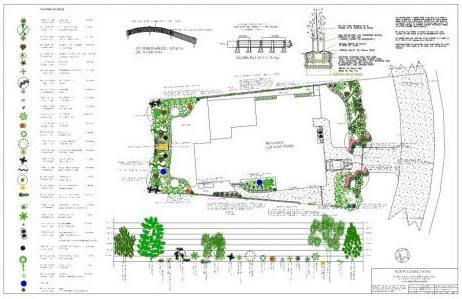 Horticulture Pacific is a Hunter Valley-based garden design service who create garden plans to meet the specific needs of our clients. We work with leading architects and can bring your ideas to fruition. We provide experience and direction so that you end up with what you want. We help you envisage your garden whether it is for a country, residential or commercial environment. We provide plans that are tailored to your business and/or family requirements. We can use best of Australian native trees and shrubs that fit into modern climate criteria. From low maintenance gardens through to using exotic European plants from the First Fleet botanists to the cultivars of today, Horticulture Pacific delivers a quality result and adds value to your property. If you want to know how to add value to your property and save money, let our design and experience show you! Use our designs to secure accurate quotes from contractors and get the best results that are site-specific and unique.